Control the humidity in your home for a more comfortable healthier environment with the Keystone KSTAD50B Energy Star 50 Pint Dehumidifier. 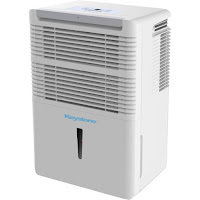 Capable of removing up to 50 pints (28 liters) of moisture from the air per day in rooms up to 3,000 square feet, the Keystone KSTAD50B Dehumidifier is eco-friendly and energy efficient being Energy Star qualified (EEV: 1.85 L/kW.H) to help save you money. 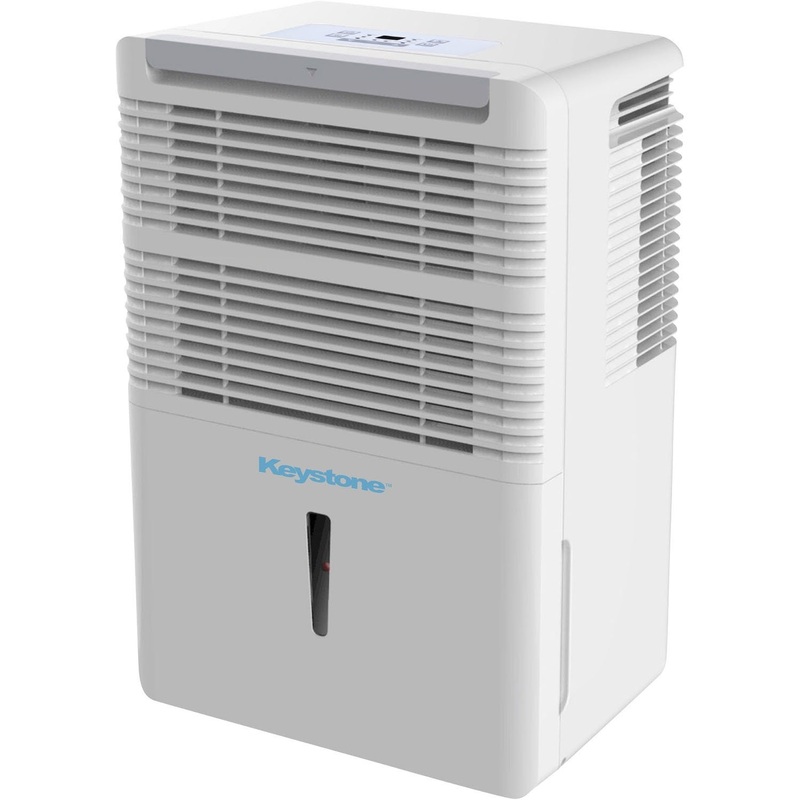 Besides protecting your home from mold and mildew, the Keystone KSTAD50B 50 Pint Dehumidifier also comes with a Dust Filter for cleaner indoor air. 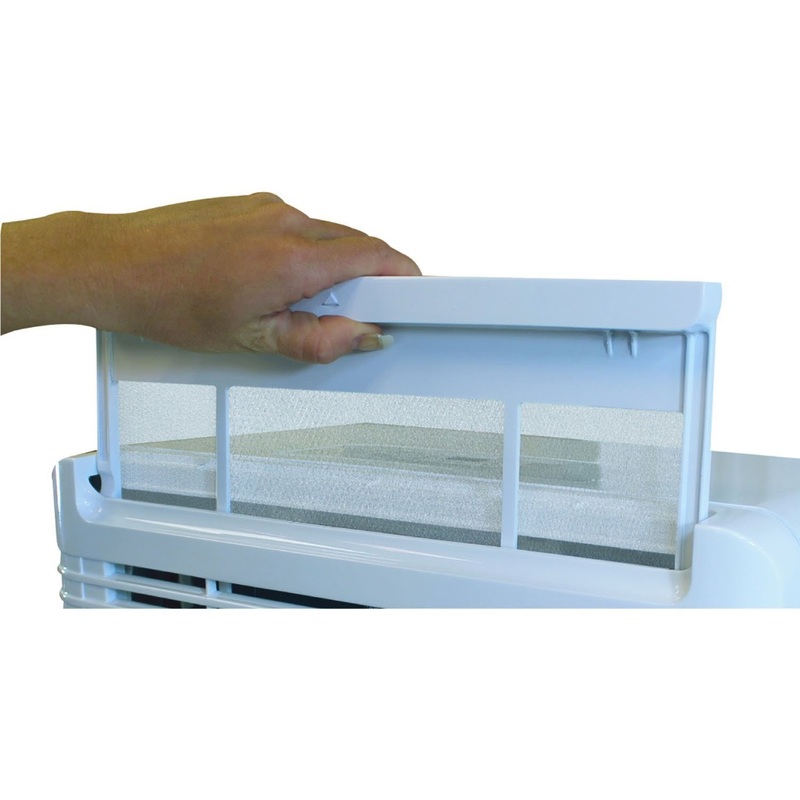 The filter is removable and washable so there’s no expensive filter to replace – the unit will indicate when the filter needs cleaning. The Keystone KSTAD50B Dehumidifier features a convenient top-mounted electronic control panel with LED display. You can set the unit to run in continuous mode whereby it automatically sets the humidity to 60% or use the up/down arrows to set your own required % humidity level (make sure you deselect Continuous and the Cont light goes out). The display will show the CURRENT humidity level in the room. The Keystone KSTAD50B features 2 fan speeds (normal or turbo), operating fairly quietly on normal but as you would expect a little noisier on turbo (Noise Level: dBA 55). 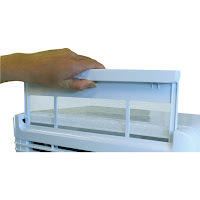 Additional features of this dehumidifier include a 24 hour timer, Auto Defrost (protects the coils in cold temperatures), low operating temperature down to 41 degrees F, and Auto Restart (the unit saves your settings and will restart itself after a power outage). 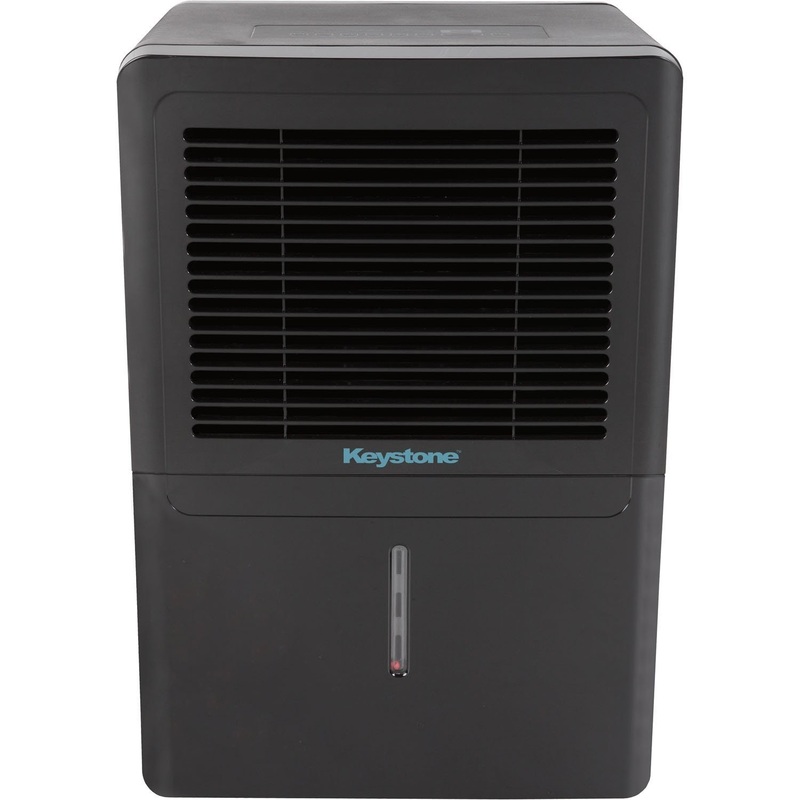 The Keystone KSTAD50B Dehumidifier can be used with either the included 1.3 gallon water bucket or on continuous drain when hooked up to a standard garden hose (not included). The water tank features a transparent water level indicator so you can see at a glance how much water is in the bucket at any given time, but you don’t have to worry about if over-filling as this dehumidifier features a Full Bucket Alert and Auto Shut-off when the bucket is full. 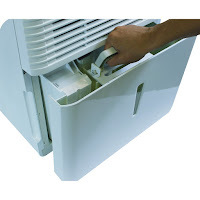 For the Continuous Drain option, you just need to attach a standard garden hose to the unit, bearing in mind that it needs to be gravity drained (i.e. the unit needs to sit higher than the drain). 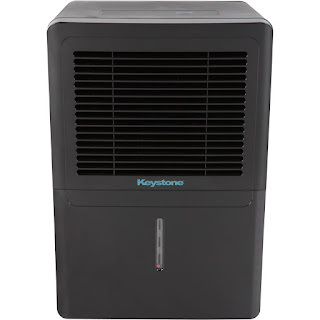 The Keystone KSTAD50B 50 Pint Energy Star Dehumidifier is available in black or white, plugs into a standard household socket and has a 7.22 ft long cord. It features 4 rolling caster for easy relocation from room to room. 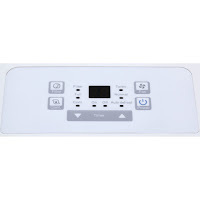 · It is recommended you run the unit continuously for the first 24 hours of use. · 8” clearance around unit is recommended for air circulation.